Trepidation: the feeling that inexplicably fills my body whenever I encounter a production that focuses solely on mental health. Though, perhaps, it is not so inexplicable: in my limited (but continually expanding) theatregoing experience, sometimes theatre performance that attempts to destigmatize mental illnesses only reinforces those same stigmatizations or stereotypes despite their good intentions. This more often than not comes from the combination of both a lack of genuine understanding about the subject matter and the lack of information we, as a general public, are given about mental health issues. Thankfully, this is not the case with Indie Women Productions’ remount of next to normal. The text (by Brian Yorkey) and the musical score (by Tom Kitt) are strong: strong enough, in fact, to have been awarded the 2010 Pulitzer Prize for Drama; and C. Lee Bates’ production certainly does this rock musical justice. Recently nominated for a 2015 Capital Critics Circle Award for Best Community Production, next to normal is a strong contender. The show itself concerns a woman who struggles with bipolar disorder and the effect that her illness and the attempts to alleviate it have not only on herself but also her marriage and her family. Further dealing with issues such as grieving, suicide, drug abuse, and the “ethics in modern psychiatry”, this is not light-hearted fare. The music provides the central vehicle for the dramatis personae’s raging and conflicted emotions and it is difficult not to want to fight along with them. Having never seen a production in Centrepointe’s studio theatre, I was very impressed with the set design and how it was used in its entirety throughout the performance. The various platforms and ramps allow for a great variety in levels and movement across the stage and, on more than one occasion, we see how the different areas of the stage come to designate different geographical locations or even different planes of reality. The musicians are tucked away in the upper-most corner of the stage, yet, their presence (thanks to musical director Wendy Berkelaar) permeates the show and, I think, really drives the performers. Speaking of, the acting and the vocal work in this show are both very solid across the board. A rock musical doesn’t just require a ‘good singing’, per se, but also an adoption of the rock’n’roll persona in order to effectively pull off the genuine feeling behind the musical genre. Songs revolve around acting out aggressive emotions: angst, anger, frustration, rebellion, etc. ; and, with specific regards to next to normal, comes with some serious emotional baggage behind them. Perhaps, for me, the most powerful scene takes place between husband and wife, Dan and Diana (played by Derek Eyamie and Skye MacDiarmid respectively), and their numbers “You Don’t Know” and “I Am the One”, where they each attempt to express to their spouse the immense depth of their respective grief and suffering. The depth of sentiment, yet the amount of control, that Eyamie and MacDiarmid must display is huge: on one hand, you risk unduly victimizing Diana if she is portrayed as overly distressed or erratic; on the other hand, if the portrayal of Diana is an isolated and distancing one, then the risk runs that she could be interpreted as being very cold and unsympathetic towards her husband’s legitimate feelings. Director Bates, however, does a great job here in overseeing the rhythm of this number and harnessing the emotions in such a way that Eyamie and MacDiarmid deliver a heart-wrenching performance where no lines can be drawn and the audience remains torn and empathetic towards this quickly disintegrating marriage. The rest of the ensemble members hold their own on stage just as well. Justice Tremblay, as sixteen year old Natalie, has a voice that’s both soft and strong which allows for easy transition between the lovely and warm moments with love interest Henry (played by Maxim David) and the angst-driven songs about the broken home around her. David’s Henry is a calm and cool presence, having little to do with the fact that he is described as a “stoner” on numerous occasions (thankfully), in the midst of all the chaotic energy brought about by Diana’s descent into psychosis. Jeremy Sanders, as Gabe, provides an interesting juxtaposition between memory and melancholia that is emphasized most thoroughly in the ways in which he constantly harmonizes and interacts with Diana, Natalie, and ultimately Dan. Finally, the psychiatrist characters played by Kodi Cannon offer up a small dose of comedic relief in this otherwise emotionally heavy play. Overall, this is a strong production that undoubtedly deserves the accolades it’s been receiving within the Ottawa theatre community. The direction of this piece keeps the integrity of the original text and does not give in to melodrama which effectively produces a more realized and nuanced perspective on mental illness and its ultimate effect on an individual’s personal life. As such, Indie Women Productions gives audiences a truly meaningful insight into this kind of issue that 20 percent of Canadians will personally experience in their lifetime. 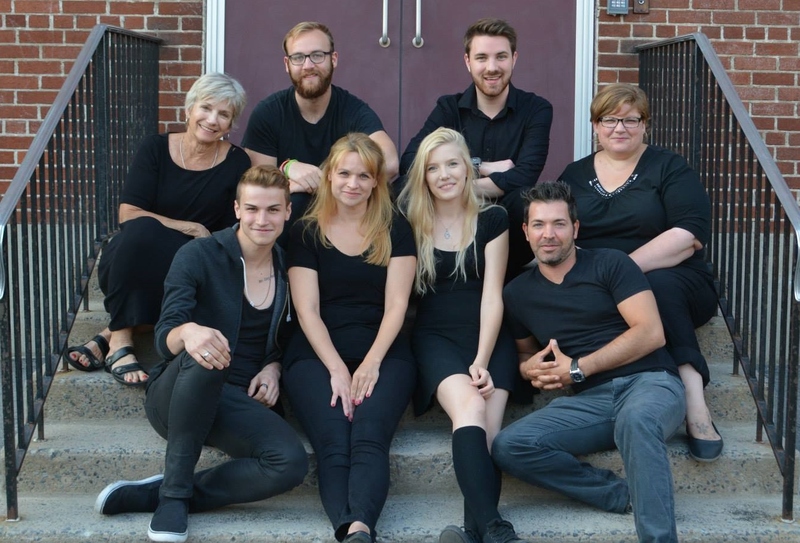 A fitting offering to have playing on stage not long after Mental Illness Awareness week (October 4-10), Indie Women Productions donated the box office revenue from this remounted version to the Royal Ottawa Mental Health Centre.